Tallan’s Bill Drafting System (BDS) integrates seamlessly into your existing processes by leveraging the power of Microsoft Word. 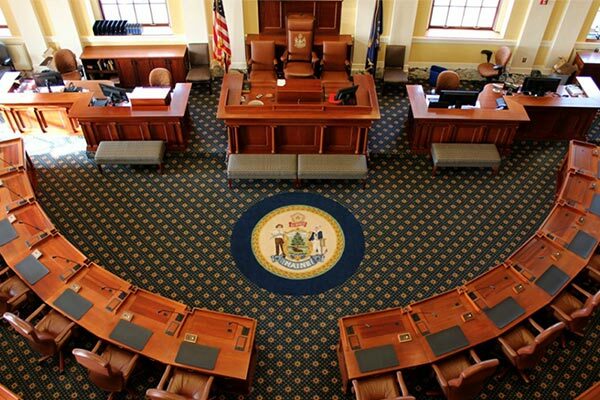 This software solution incorporates the unique styles, methods, and procedures of your state legislature and does not change the way you conduct business. By empowering your office with robust and modern technology, BDS bridges the road toward a paperless lawmaking process. 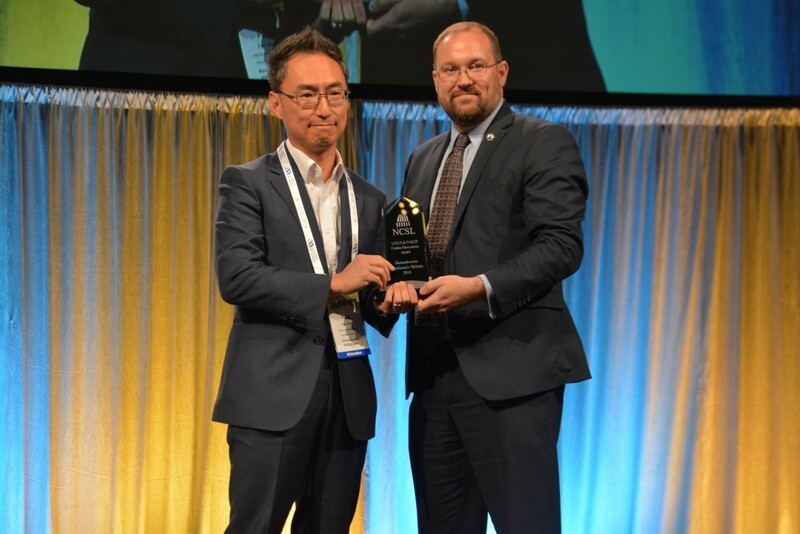 Beginning with bill drafting, continuing with amendment drafting and culminating with engrossing then final enrollment, this solution is end-to-end. In addition to significantly reducing the effort involved in the bill production process, BDS will reduce workflow errors, eliminate version confusion and simplify content editing. 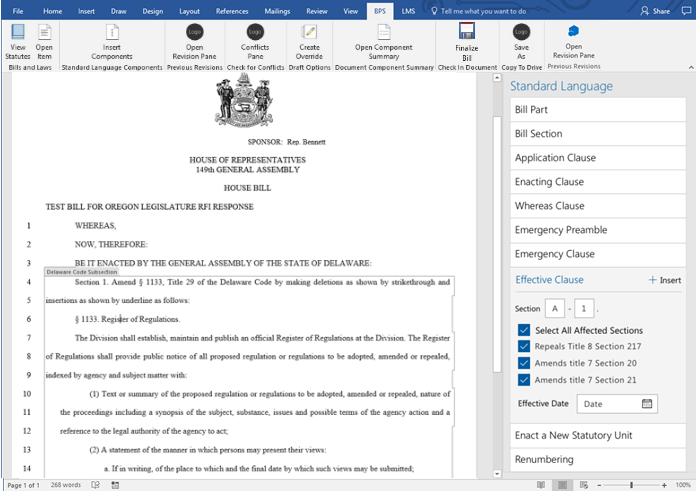 The bill drafting component of Tallan’s Legislative Management Suite consists of a Microsoft Word add-in for staff to draft changes to existing statutes or create new sections of law for review and editing. Using familiar Microsoft tools makes implementation smoother and helps to reduce errors and confusion that come with other custom drafting software applications. Tallan supports the drafting process in the BDS application by offering a fully-featured draft versioning tool with a familiar user interface. Every change is treated as a separate version, so drafters can review the entire history. Tallan extends Microsoft Word’s storage structure through custom XML to record metadata specific to each bill document, ensuring transparency and flexibility. This BDS add-in component provides a customized ribbon in Microsoft Word and multiple, dockable task panes for data-driven functions such as statute lookup and insertion, version lookup, and document component validation. Flexibility allows a bill drafter to create a new legislative instrument type instantly using existing content and formatting as desired. 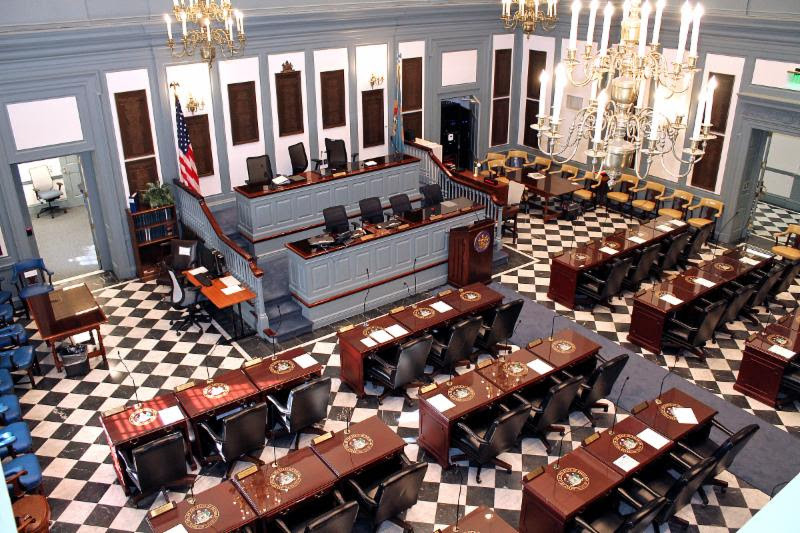 While there are many rules in a state legislature, most of them can be suspended, circumvented, or superseded in special situations. Tallan is well aware of this and we have learned that it is imperative to build workflows that follow rules for normal situations, but offer flexible options in order to accommodate uncommon scenarios to avoid any delays or disruptions. 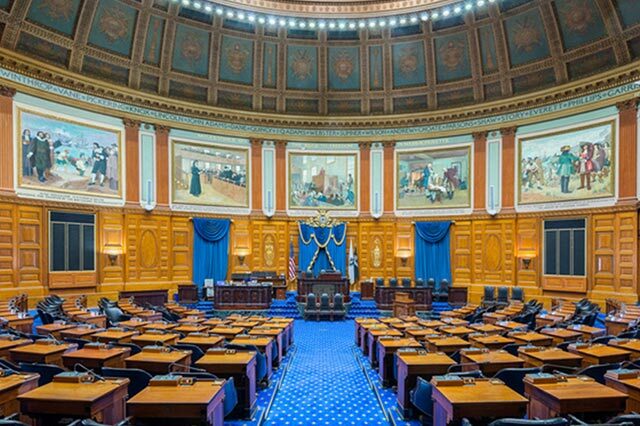 Tallan partnered with the Massachusetts Legislature to increase citizen engagement and modernize its web presence. 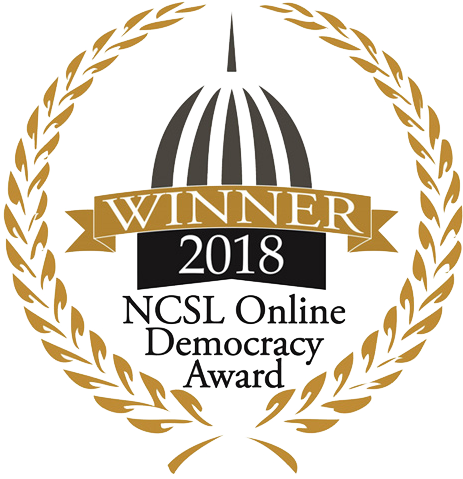 The public website won the NCSL Online Democracy Award for the second time in five years. Register for a Live Demonstration!